Nasim Nasr’s art practice, utilising multiple channel video, photography, performance, installation, 3D objects and sound, over the past eight years since relocating to Australia from Iran—presented nationally and internationally—has attempted to highlight the complexities within contemporary notions of interchangeable identities and cultural difference, as experienced between her past and present cultures and homelands. In considering the inherent contradictions and ambiguities within how objects and actions have sustained different meanings, and how multiple interpretations impact upon contemporary perspectives, her practice seeks to establish a symmetry or counterbalance of cultural and intellectual separation between West and East. 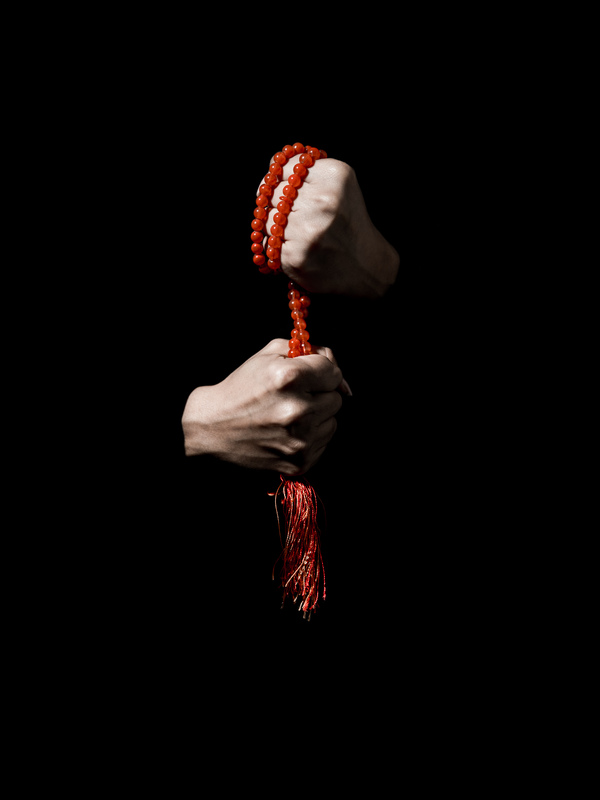 Since graduating with a Masters VA, University SA, 2011, Nasim Nasr had exhibited in major presentations internationally—Sovereign Asian Art Prize, Hong Kong; Bazaar Art Jakarta, Indonesia; Art Dubai & Art Dubai Cinema, UAE; Video Stage & Art Stage Singapore; Video Arte Australia y Nueva Zelanda, M100, Santiago, Chile; Broken Links, Central Saint Martins, London and the Boston Biennale Project, Venice Biennale. 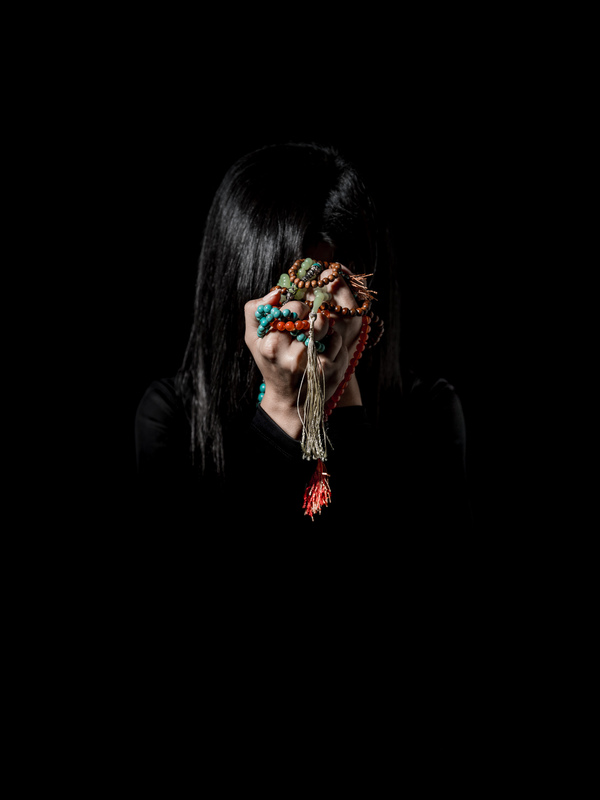 Nationally she had held solo exhibitions at 4A Centre for Contemporary Asian Art, Sydney and Greenaway Art Gallery, Adelaide 2013 & 2017; and in group exhibitions—Bowness Photography Prize, Melbourne; Under the Sun, Australian Centre for Photography, Sydney & Melbourne; Sixth Sense, National Art School Gallery, Sydney; Blake Art Prize & Redlands Art Prize, Sydney 2015; TarraWarra Biennial, TarraWarra Museum of Art, Melbourne; Landlocked, Casula Powerhouse, Sydney; CACSA Contemporary 2010, 2012 & 2015, Adelaide; Performance Presence/Video Time, AEAF, Adelaide, and Blinc, Adelaide Festival of Arts. Recently Nasim Nasr restaged the performance Women In Shadow, for Sherman Centre for Contemporary Ideas Fashion Hub 2018 at the Museum of Applied Arts & Sciences, Sydney; its original presentation was at the Australian Experimental Art Foundation, Adelaide, in 2011. 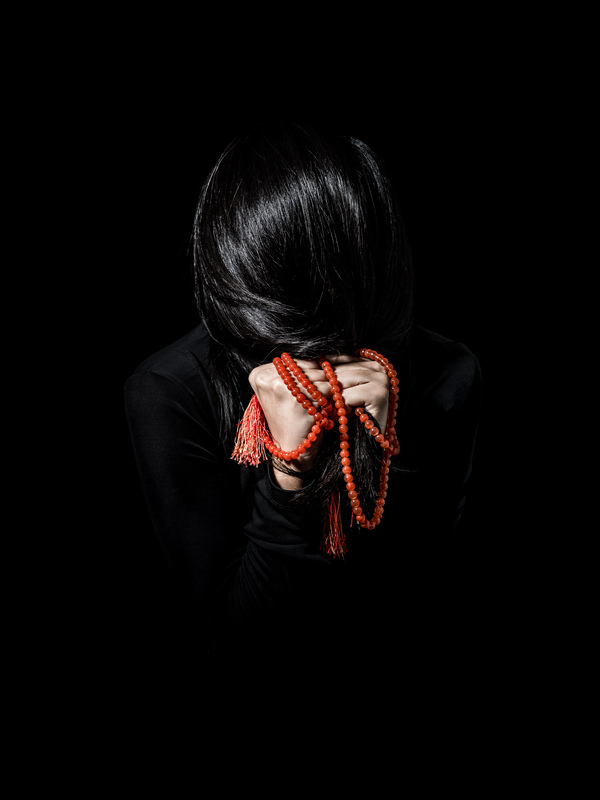 Nasim Nasr’s performance and video practice has been written about in major academic publications, by Anne Marsh—Video Void, Melbourne: Australian Scholarly Publishing, and Performance_Ritual_Document, Melbourne: Macmillan Art Publishing, both 2014, and the forthcoming ‘Art and the Islamic Female Diaspora’, Adam Geczy, Bloomsbury Publishing. Her work has been collected by Parliament House Art Collection, Canberra; Gene and Brian Sherman Collection, Sydney; Artbank, Sydney. 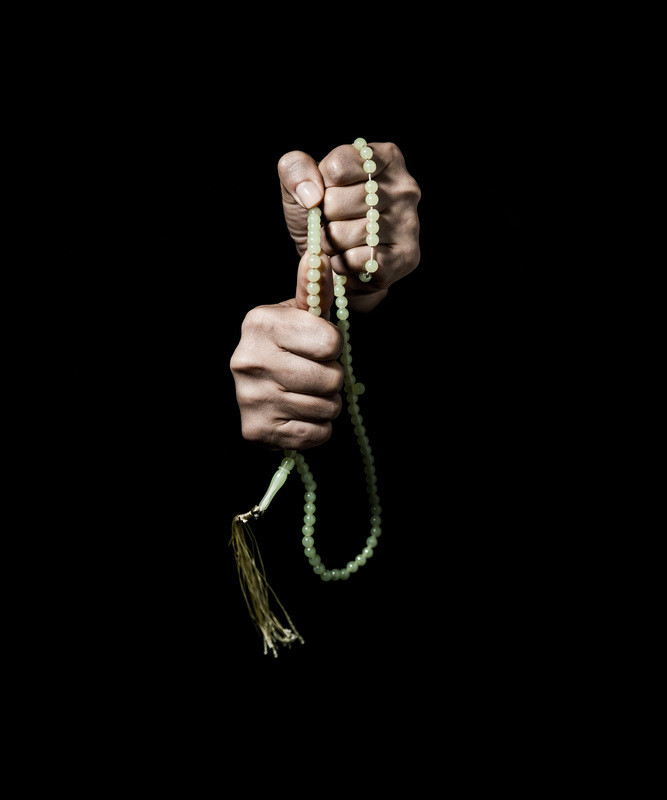 33 Beads engages with cultural experiences through the compulsive, predominantly male habit of handling traditional prayer and non-prayer beads (what the West refers to as “worry beads” and in the Middle East “tasbih”) in response to the fluctuating conditions of being worried or unworried about major life issues and concerns. Social, political and intellectual forces that shape contemporary society are inevitably fraught with confusion and uncertainty. Questions are plentiful, answers are few. 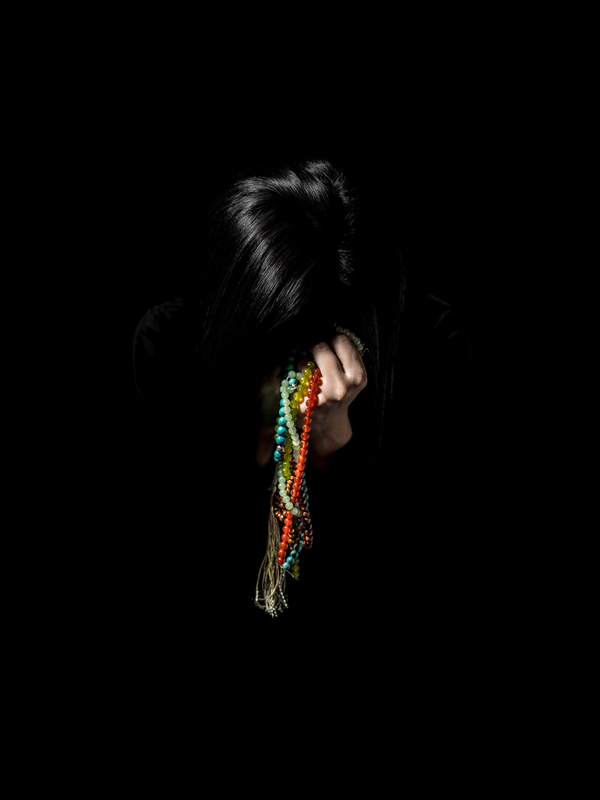 The photo series 33 Beads with its double and multiple female hands compulsively mould the beads, seeking to deny their cultural meaning, presenting the question whether to keep the male tradition or break it down. The tension between the female hands and the worrybeads suggests an unspoken metaphor, to hold on to one’s past or to let it go, sensing the cyclical and infinite nature of the human condition.